Although Joy to the World has a one-time reading value, flipping through the book provides readers with a feeling of nostalgia and for some, may become a holiday tradition. Joy to the World is not exactly reading material for young children (yeah - thanks Mom, for giving this book to me when I was 12 years old), but is more suited for adults who enjoy serious brain candy and of course the Victorian presentation. The book also serves as a perfect Christmas decoration for your fireplace mantle or your coffee table. 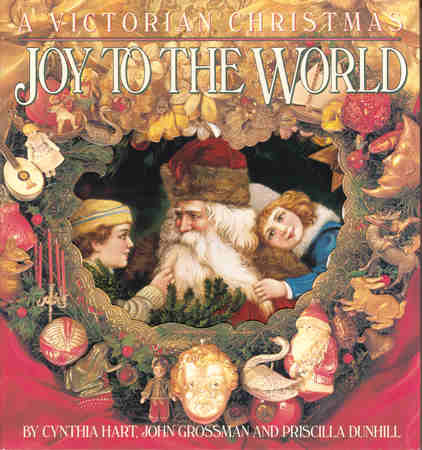 Fans of Joy to the World may also enjoy A Victorian Christmas: Sentiments and Sounds of a Bygone Era by Cockrell and Baldassari (2008) and Old-Fashioned Christmas Postcards by Gabriella Oldham (1989).